Today I stopped at my favorite farm stand and picked up some fresh green beans. This recipe immediately came to mind. 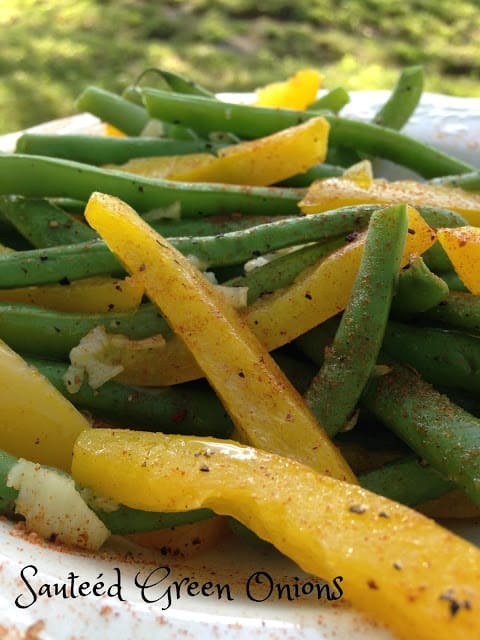 A simple seasoning of garlic and Creole seasoning lets the garden-fresh flavor of the green beans shine through. 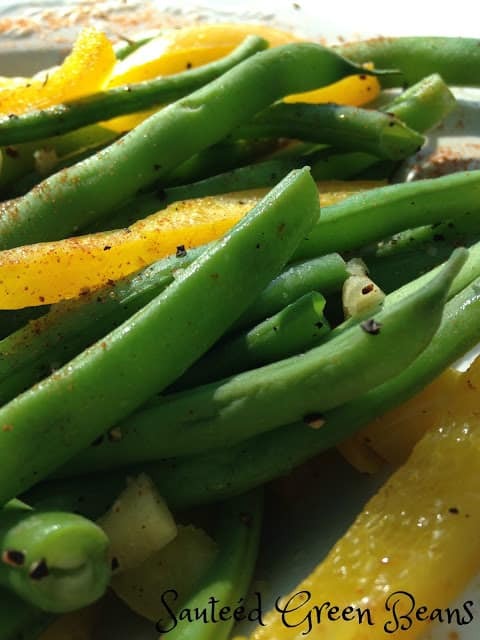 Sautéed Green Beans is a fast yet simple recipe. 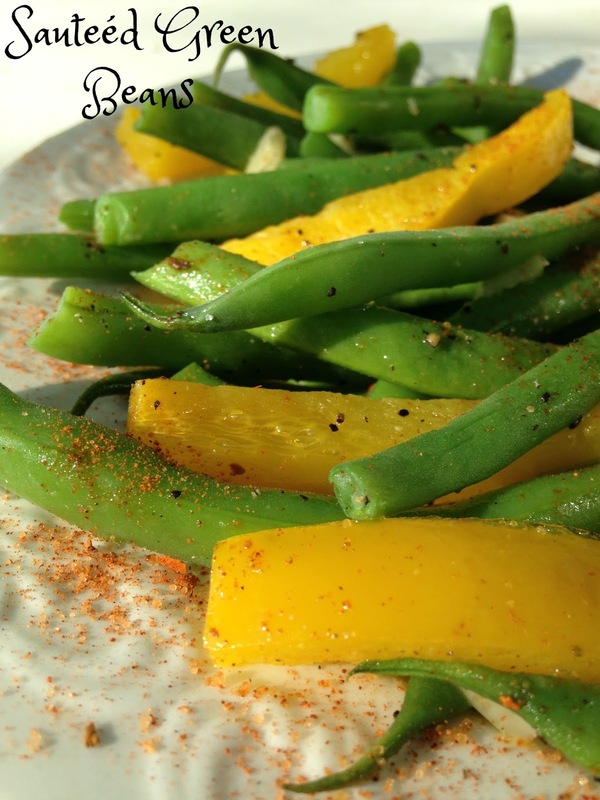 Green beans are sautéed in oil with yellow bell pepper and garlic. 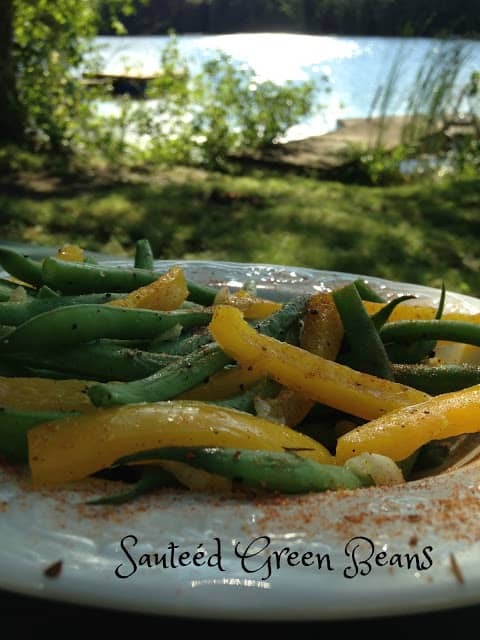 Creole seasoning, salt and pepper season this delicious vegetable side dish. 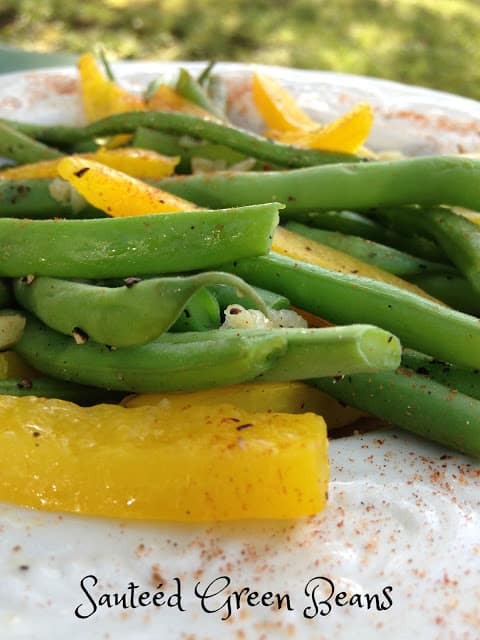 Green beans have a fair amount of vitamins A and C.
A long, slender green pod with small seeds inside. The entire pod is edible. It’s also called string bean because of the fibrous string, now bred out of the species, that used to run down the pod’s seam, and snap bean, for the sound the bean makes when broken in half. The wax bean is a pale yellow variety of green bean. 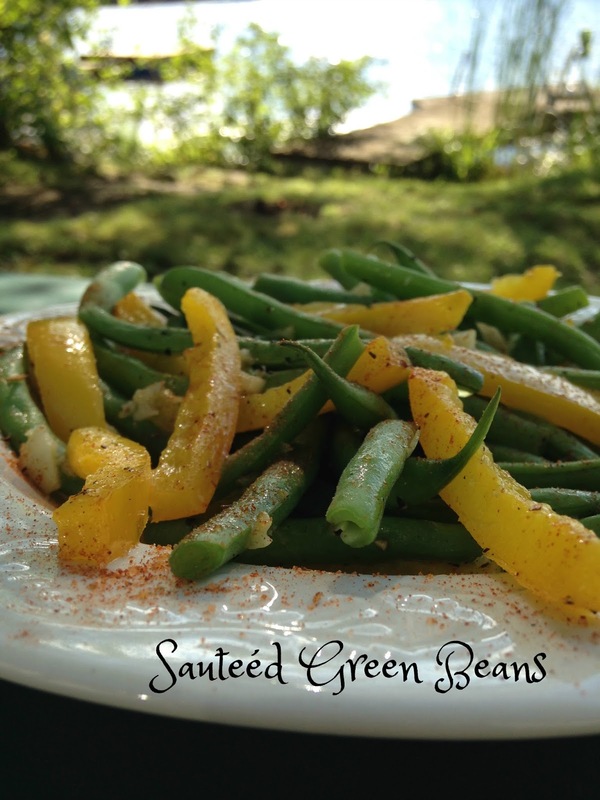 Green beans are available year-round, with the peak season of May to October. 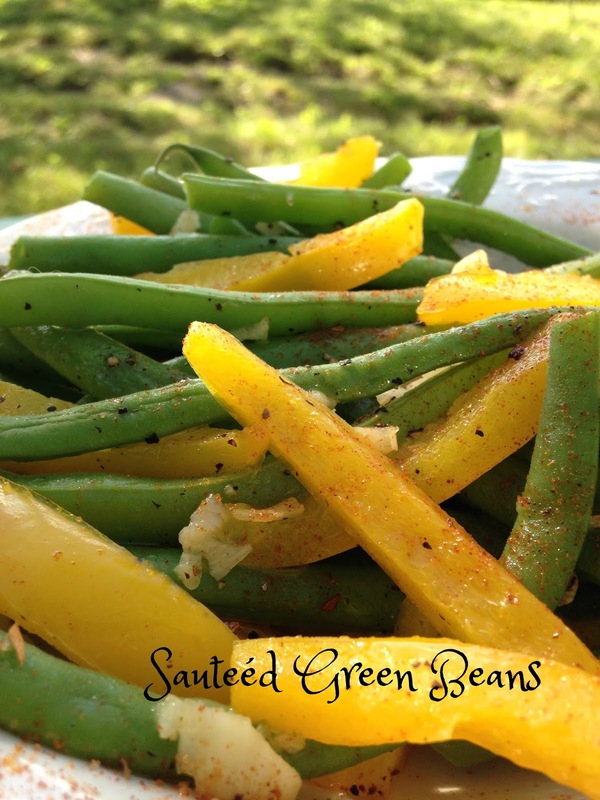 Choose slender beans that are crisp, bright-colored and free of blemishes. Store beans in the refrigerator, tightly wrapped in a plastic bag for up to 5 days. A fast and easy recipe that lets the fresh flavor of green beans shine. Cook green beans in boiling water to cover, 8 to 10 minutes or until crisp-tender. Drain and plunge into ice water to stop the cooking process; drain. Saute sliced yellow bell pepper in 2 tablespoons hot oil in a large skillet over medium heat 2 minutes or until crisp-tender; add minced garlic and saute 2 minutes more. Add green beans; sprinkle with salt and pepper, to taste and Creole seasoning, cook stirring constantly, until vegetables are heated through.